AER800-C1PLM is one port line power ADSL loop extender module over Annex M ADSL system. It needs neither remote power supply in CO nor spare power pairs. Must be installed in AER800-4P-BOX, AER800-8P-BOX or AER800-24P-BOX enclosure. Does not need AER800-PWR power distribution card. No need to install any equipment in the CO.
Low power consumption; uses the -48V on the line. 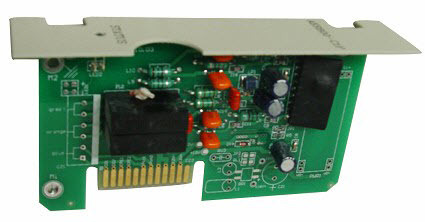 Additional subscribers can be added by inserting additional AER800-C1PL(M) cards into the enclosure. Over-current protection to protect from lightening. Easy to install, deploy, and maintain.